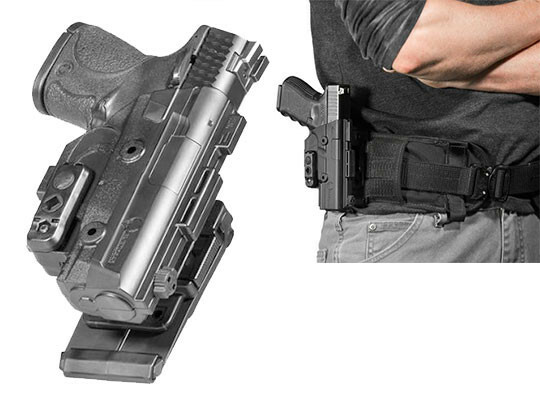 Alien Gear Holsters’ new ShapeShift MOLLE Holster bridges a gap in the tactical market with a secure and fast PALS compatible holster. 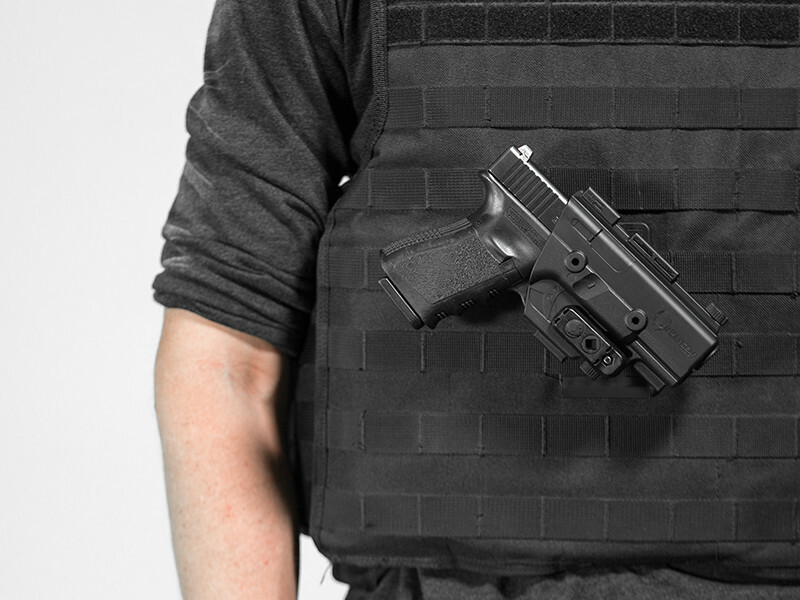 The holster offers more possibilities and customization options than ever, and works with standard and nonstandard PALS platforms including backpacks, tactical belts, duffle bags, vests and more. Made from premium engineered polymer, the MOLLE Holster is extremely durable and lightweight, and its smooth texture slides effortlessly into PALS webbing. 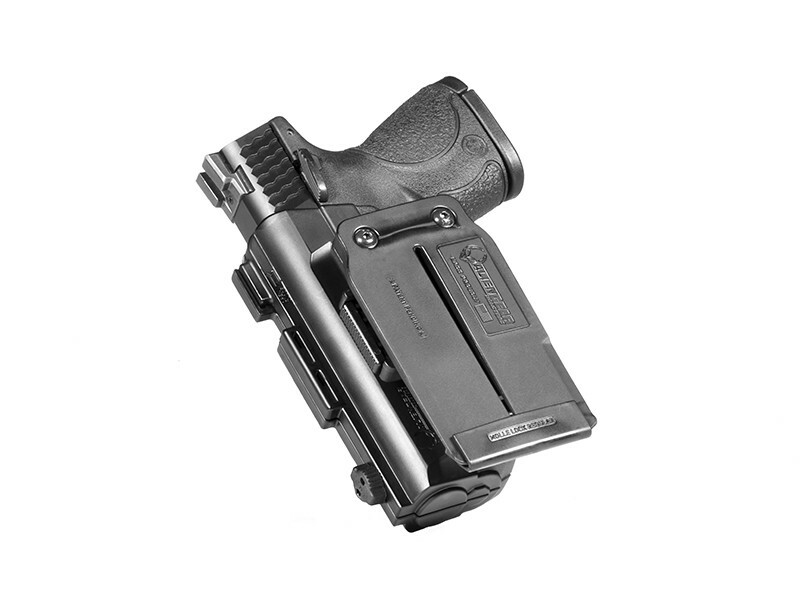 A double pronged holster base provides enhanced stability to your holstered firearm. The MOLLE Holster can fit the height of two or three strips of PALS webbing with Alien Gear Holsters’ patent pending MOLLE locks, which come in regular and extended sizes included with the holster. These locks slide onto the end of the holster’s prongs, ensuring a very quick, toolless installation, and resulting in a firmly anchored holster that won’t budge. The injection molded shell of the ShapeShift MOLLE Holster envelops every detail of your firearm, allowing for a unique form of retention that locks your firearm into place with an audible click. An optional thumb release provides an additional form of retention and guides your hand into the proper drawing position. 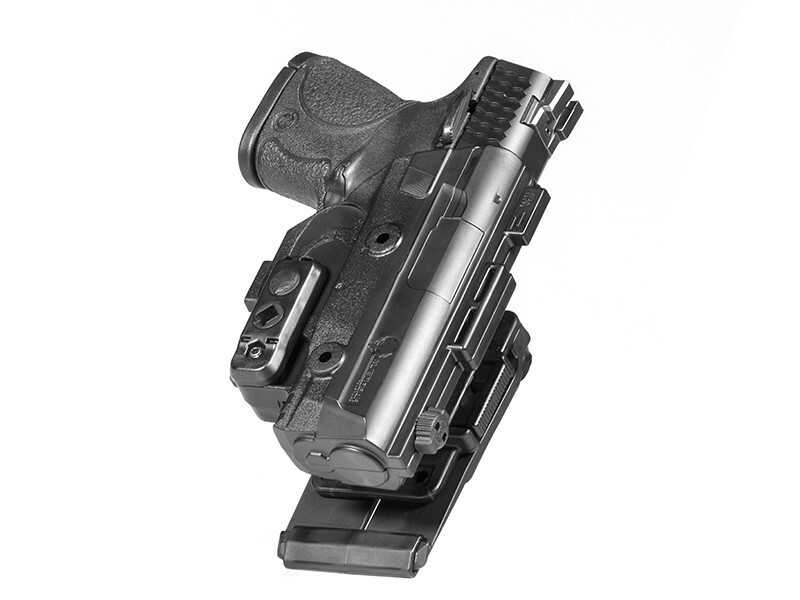 The ShapeShift MOLLE Holster’s prongs detach from the holster and reattach in four different ways, allowing for a wide range of ride height adjustment. 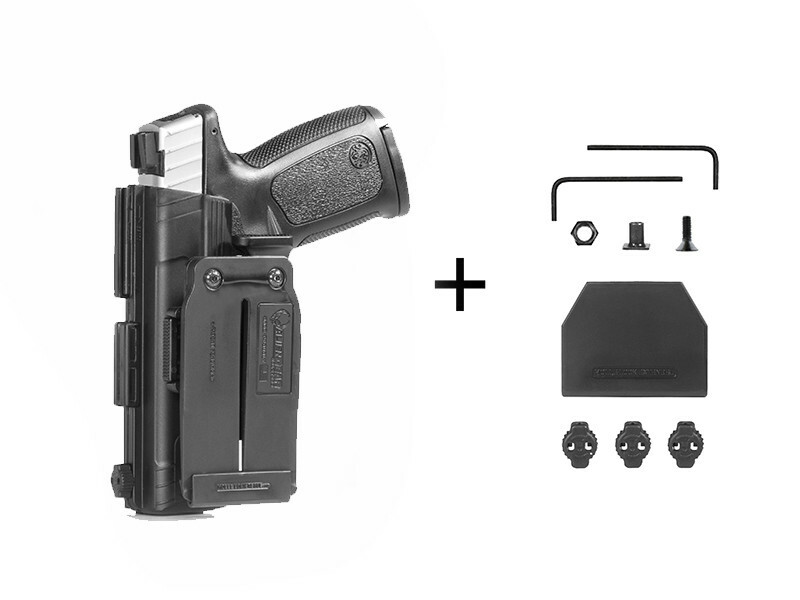 Make your draw exactly how you want it with the MOLLE Holster’s rotating adaptor, an exclusive feature that allows for 360° cant in 22° increments. Release the full shell configuration containing your firearm with the push of a button to quickly shift to other ShapeShift holsters including the ShapeShift OWB Paddle Holster, ShapeShift Drop Leg, ShapeShift Holster Mount and more. 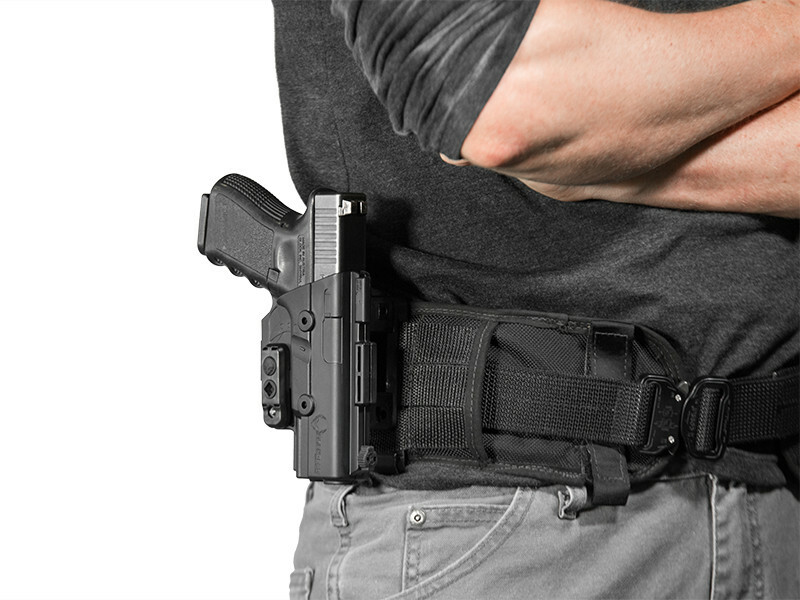 The ShapeShift MOLLE Holster is made in the U.S., which allows Alien Gear Holsters to offer the most affordable price. Alien Gear Holsters is confident enough to back this holsters’ quality with a Forever Warranty and a 30-Day Test drive. 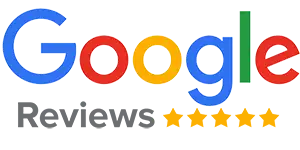 As always, AG always has good quality. 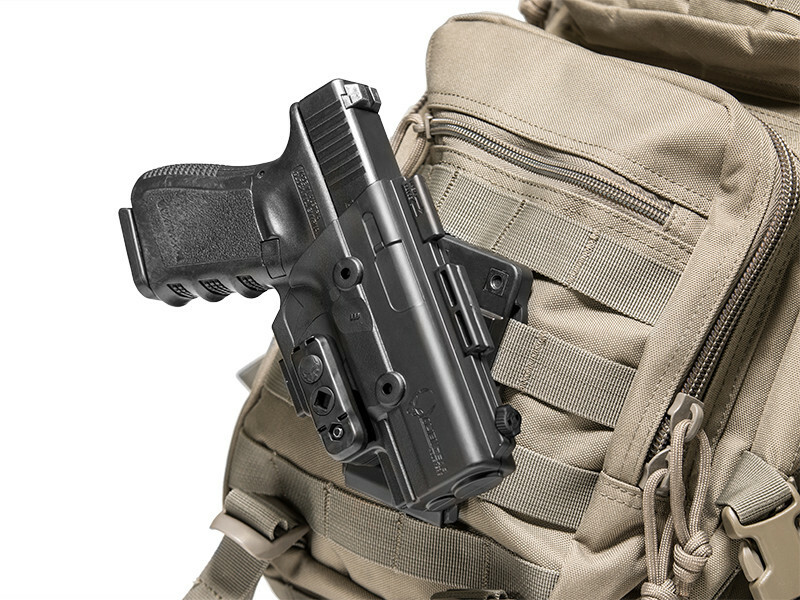 While this holster may work well with MOLLE on a belt, or backpack, it completely misses the mark when worn on a vest.